Origo Branding | Advertising, Marketing, Digital Agency. Columbus, Ohio » Origo Helps Develop Online Strategy for BayCare Health System. Origo Helps Develop Online Strategy for BayCare Health System. BayCare Health System is the largest health care provider throughout the Tampa Bay and central Florida regions, delivering the highest quality care within the region. They provide extensive inpatient and outpatient services that include acute care, primary care, imaging, laboratory, behavioral health, home care, and wellness. Excellence in education and residency training has become an integral part of BayCare’s mission, as they strive to prepare current and future residents to excel at the next level of their career. To advance this mission, BayCare partnered with Origo Branding to help develop an online strategy for their new website. Leaning on Origo’s expertise in healthcare and education, a process was set in place to develop a robust online strategy for the new pharmacy residency program website. Origo conducted research and surveys that informed the wireframes and site architecture and outlined how a user would navigate through the programs, resources, and contact information of the pharmacy programs. Origo created a new site design, equipped with features that promote the unique offerings within BayCare’s pharmacy residency programs, and created an intuitive and simple way for users to find the information they need to make an informed decision when enrolling in BayCare’s different programs. 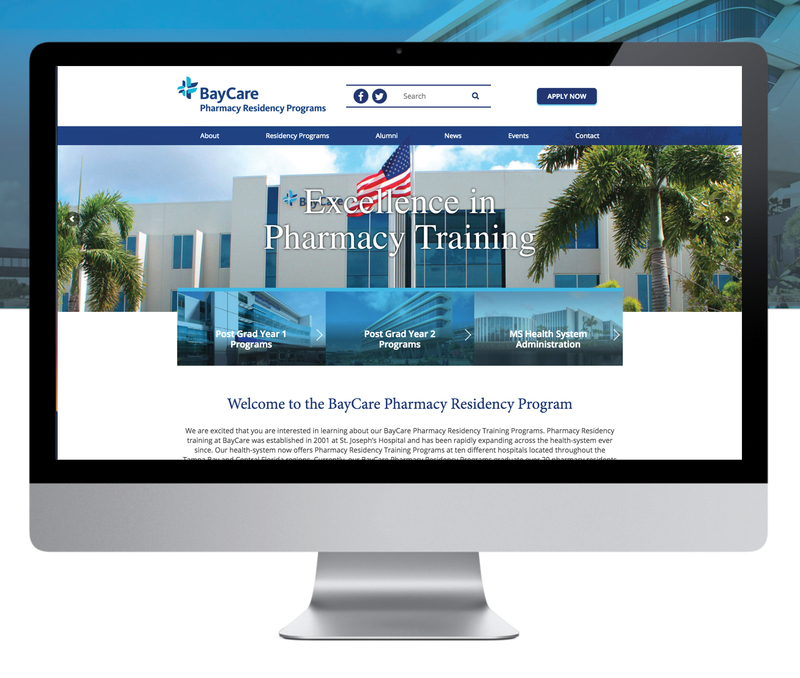 Launched in October of 2018, Origo successfully developed a new online experience for BayCare’s pharmacy residency programs, positioning their brand as an industry leader in higher education and pharmacist training. 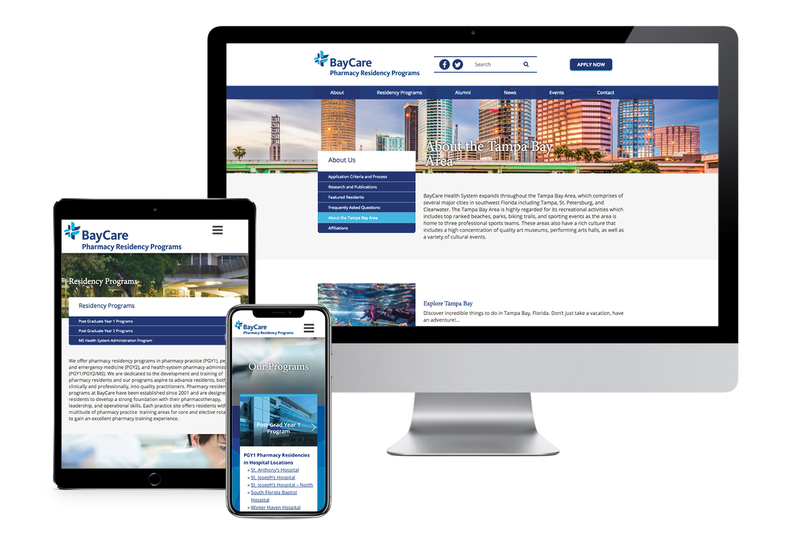 By implementing best practices in web design and user experience, BayCare now has an effective online tool to promote their hospitals, credentials and the offerings of their programs, creating greater awareness amongst current and future practitioners. At Origo Branding, we take great pride in creating impactful strategies for our partners. We look forward to supporting the continued success of BayCare Health System. by origo / in Featured / No Comments on Origo Helps Develop Online Strategy for BayCare Health System.